We’ve focused on comedy so far in our Edinburgh Fringe recommendations, but, of course, the Festival offers far more than just the hundreds of comedians, sketch groups, clowns and character comics heading up. 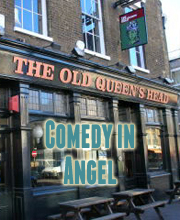 Laugh Out London can’t claim to be experts on dance, opera, high end theatre or shows about feelings, but we have spotted a few Fringe theatre shows that we think any fan of our comedy picks would also enjoy. Here are our eight recommendations from the theatre section of the programme. Comedian Max Dickins performs a one-man show about one of the most intriguing mysteries of the past few years – the story of David Lytton, who was found dead on Saddleworth Moor in unexplained circumstances in December 2015 and who remained unidentified for months. This was the top-reviewed show of 2016 according to The List magazine, with a perfect set of five stars from all the major publications assessed. The critics loved this bright, spangly tale of the fifth Marquis of Anglesey, a 19th century trail-blazer in cross-dressing and sexuality. Kieran Hurley won huge acclaim and a Fringe First award for this hour of compelling story in 2016, which comes back for a short run this year. We are very excited for this original musical from members of the teams behind Fringe favourite Margaret Thatcher: Queen of Soho and best reviewed show of 2016 How To Win Against History. It promises to be Grease meets Drag Race meets a Trump rally with sequins. And it features LOL favourite Lucy Pearman! We’ve loved Sh!t Theatre ever since we caught one of their very early mish mashes of performance art/political/musical comedy several years ago at The Newsroom. They’ve since evolved to become theatremakers of real integrity and imagination, making powerful political shows that delve into the personal. This year they’re taking something of a change of tact to perform an hour all about the world’s favourite big-haired, big-boobed, big-voiced country star Dolly Parton. I can’t wait. Maybe my favourite show from last year, this performance from Rash Dash was a beautiful, passionate, angry and very funny look at the power men wield. A mixture punk rock, TED lecture, devastating drama and compelling dance, all glossed with a heavy brush of metatextuality. The perfect Fringe show and it’s back for a short run in 2017. I don’t know too much about Gary McNair, the man behind last year’s hugely acclaimed A Gambler’s Guide to Dying, but I do know the work of Morrissey very well. Gary’s blurb describes a familiar of a disaffected young boy who learns he’s not alone through the angry, articulate music of The Smiths. I’m on board. One of the most interesting premises for a show at this year’s Fringe, Wild Bore sees three acclaimed female comedians Zoe Coombs Marr, Ursula Martinez and Adrienne Truscott respond to their critics the best way they know how – through performance. I’m not exactly sure what this will entail, but all three performers are among the most exciting and innovative around.